Choose from an extensive selection of deck boards, railings, balusters, lighting and other decking materials available now at low, low prices! Expand your entertaining outside with a customized deck to suit your style and outdoor space. 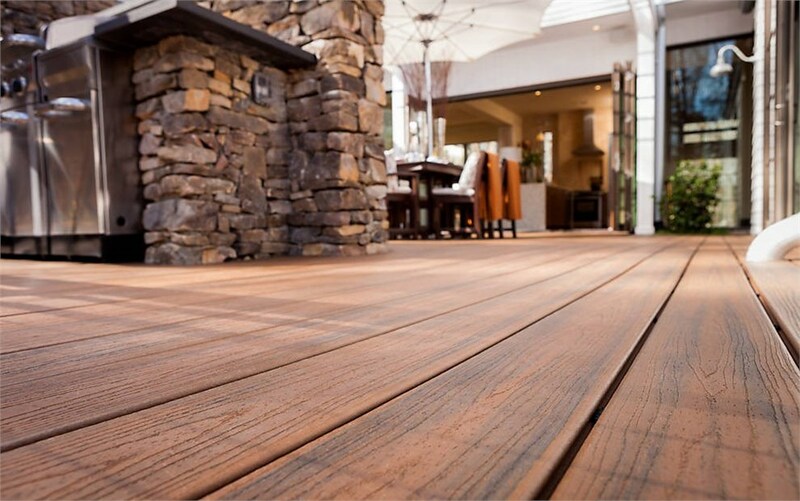 Durability and a long maintenance-free lifespan are two features people look for in their decking materials. At Lakeland Building Supply, we offer a vast selection of highly durable, low-maintenance deck materials –deck boards, railings and more – to ensure your investment into your outdoor space is both cost effective and extremely long lasting. Modern decks are made to last – withstanding harsh weather conditions, bugs, mold, mildew and rot. For a new deck that’s built to last, innovative composite decking and durable PVC deck boards offering impenetrable surfaces that will not fade, rot, crack or splinter. The quality decking materials offered by Lakeland Building Supply are manufactured from the most durable materials available today. Stop into Lakeland Building Supply’s Chicagoland showroom today to begin planning new deck construction and explore the various options of deck boards, deck railings and accessories from the top names in decking materials.